More than 600 children and teenagers are being treated for type 2 diabetes in England and Wales, and the rise in cases is a “hugely disturbing trend”, local councils are warning. 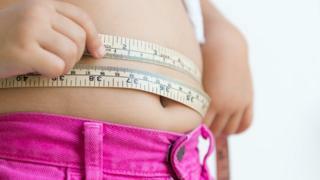 Why are children getting type 2 diabetes? Being overweight is the biggest risk factor for developing type 2 diabetes, and three-quarters of these children were obese. With child obesity rates in England rising – but now by a smaller amount than they have been – it’s no surprise more children are being treated for the condition. In primary schools in England, one in 10 children in Reception and one in five children in year 6 were classified as obese in 2015-16. Type 2 diabetes in children is a serious condition which can lead to long-term health complications such as heart disease, kidney failure and blindness. Children from Asian and black ethnic backgrounds were particularly affected, and children who lived in deprived areas were more likely to have type 2. There were twice as many girls than boys with the condition and most of the cases were among 15-19 year olds. Across all children and teenagers, numbers are on the rise – from 507 cases in 2013-14 and 543 in 2014-15 to the current tally of 621. But there could be more who are undiagnosed, the report said – these are only the ones being treated by paediatric specialists around the country. Parents can make an appointment with their family GP if they are concerned about their child’s weight. They can then be referred to a paediatrician, weight loss services or a dietician, depending on what is available in the area. When children are diagnosed with type 2 diabetes, the whole family will normally be involved in encouraging more physical exercise and a healthier diet, which are crucial to managing the condition. Because type 2 diabetes can be more aggressive in children than in adults, it is important to manage the condition carefully in order to prevent any health problems occurring. Children’s doctors, from the Royal College of Paediatrics and Child Health, say type 2 diabetes is preventable in most cases and more action is need to reverse the trend. Dr Justin Warner, from RCPCH, said the sugar tax was “a positive step” towards reducing sugar in diets, but the government should be doing more to ban junk food adverts on TV targeted at children. It published a childhood obesity plan a year ago, which included measures asking the food and drink industry to cut 5% of the sugar in products popular with children, with a target of 20% over four years. A Department of Health spokeswoman said this was already delivering results. The plan also called on primary schools to deliver at least 30 minutes of physical activity a day and to help parents and carers ensure children got the same amount at home. But local councils in England, which now fund public health, want an increased budget to tackle the problem. They say more needs to be done to reach out to black and other minority ethnic groups, where a disproportionately high number of children and teenagers have type 2 diabetes.